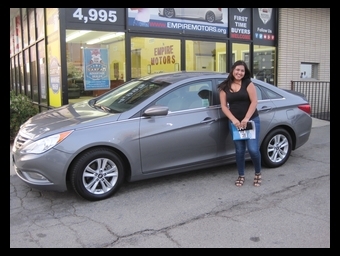 I’d like to personally thank Reyhan and the staff here for helping me with purchasing my car! 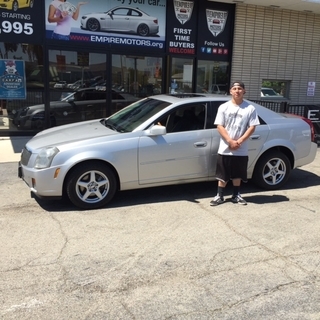 I am very happy with the service he provided and how helpful he was since it was my first time buying. It was worth driving up here for their services, once again thank you. WOW!! what a pleasure to deal with an honest, true professional in Reyhan! Thanks guys and keep up with the Great work!!! Thank you for the kind words Victor. We appreciate the opportunity and welcome you to our family of friends and customer. Please keep us in mind if you know anyone in your family or friends looking for a car. 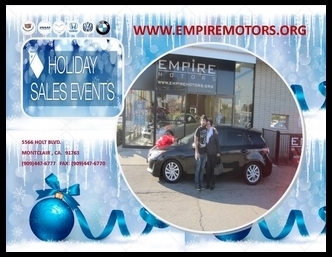 I found Empire Motors - Montclair Ca, online looking for my first car, I called and was helped right away. Ray was patient and very helpful. He explained to me everything I needed to get done in order to get the car I had been looking at for awhile. I made an appointment and I got to leave with my car the same day! I am a first time buyer and he made it so easy. I definitely recommend this place! 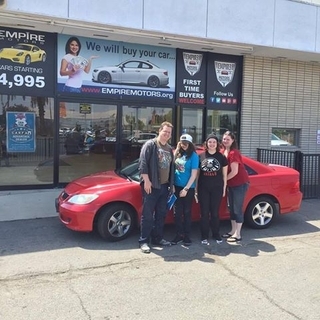 From Management: Lindsay, we are so happy that you gave us an opportunity and look forward to helping you and your family and friends with their automotive needs. Thank you for your business. Check out these nice words from Amber A on Google. I’ve never tried so hard to buy a car , and I’ve never been so blessed to have the opportunity that Ray has blessed me with being able to buy my own car in my own name and having the help I had from him I would recommend to anyone! so much gratitude to him and the AMAZINGGGG work he has done to get me into an amazing car ! 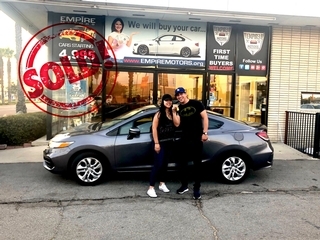 Amber we are truly greatful for the opportunity and look forward to serving you and your friends and family in the future for their automotive needs. 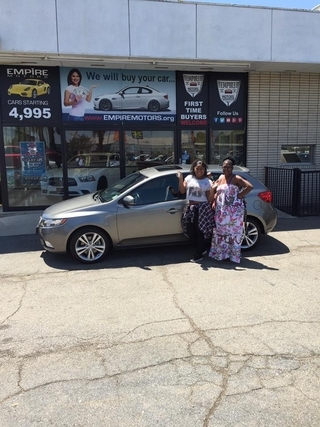 Empire motors is a great place to buy a car. I just got CTS from them. It’s was a great experience. 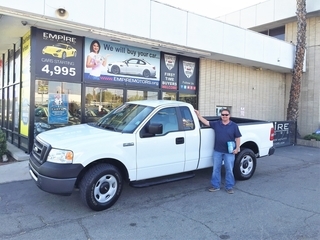 "The sales team was very courteous and knowledgeable. 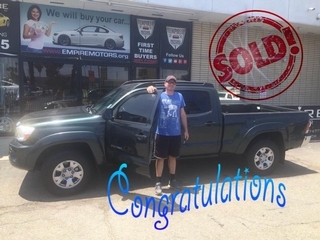 There was no hard selling and the whole process was fast and easy." 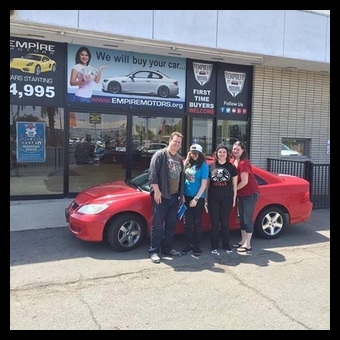 Peterson family purchased a nice Honda Civic from Empire Motors and wrote above review on Google. Honestly I was pleasantly surprised at how genuine and to the point the service was, would definitely recommend this dealer to anyone tired of the mainstream dealers out there. Looking for a legitimate car dealer place who can provide you with excellent service? This is the place to go. They were helpful and answered any concerns of mine, they come with fair prices on all kinds of vehicles. I highly recommend for any first time buyers as well. 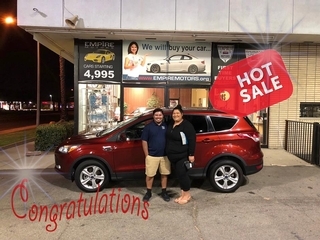 The sales team was very courteous and knowledgeable. There was no hard selling and the whole process was fast and easy. Another Happy First Time Buyer !!! So very Happy for Francisco P and even more thankful for the kind words on Yelp. 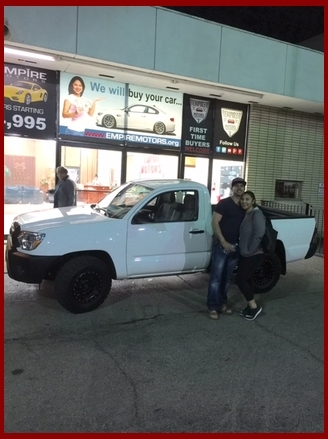 Congratulations to the Ramos family on the purchase of a very nice ?#?nissan? ?#?maxima?. So very grateful for the opportunity. 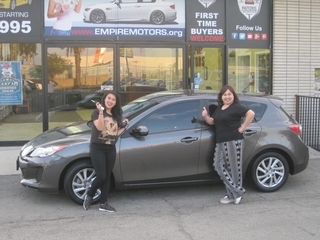 This is the second car they bought from us and we are truly happy for them. Enjoy the ride. 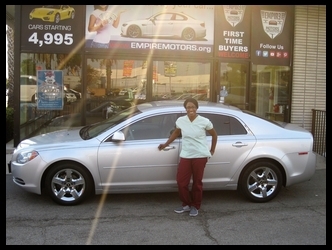 Our satisfaction with Empire Motors Montclair exceeded our expectations. 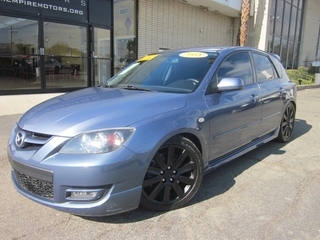 We found the vehicle via the USAA Car Buying Service and were looking for a local dealer with USAA certification. 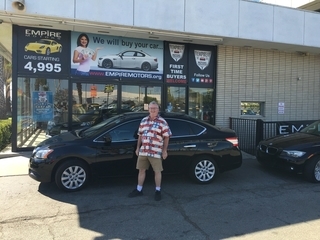 We found the 2015 Nissan Sentra that met our price and milage criteria and with a spotless CarFax report. They completed a minor factory recall at a local dealer before we picked up the vehicle. Ray responded to my email inquiry quickly and was very helpful and professional in the sales process. He explained all of the paperwork thoroughly. 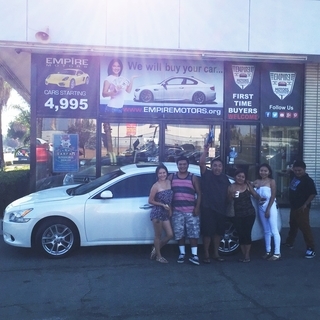 I highly recommend you choose Empire Motors Montclair. Awesome experience everyone was super friendly I felt like I was talking to friends and family. They were helping me with all my questions and concerns. I was feeling a bit nervous when I entered and I guess it showed since they offered me water which made my nerves go away. Staff was so awesome It felt like I was chatting with friends. Would highly recommend to everyone. I’m really excited about how well it went. 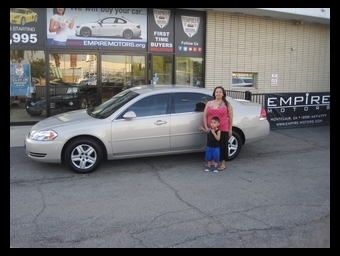 We were looking for a used car for my nephew and Empire Motors did a great job in getting us the car we wanted at the price we could afford. 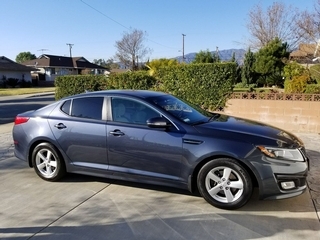 We were looking around the Montclair area and at some of the dealerships we went to, they either didn’t have what we wanted or didn’t seem to want to make a deal. Our last stop that day, thankfully, was Empire Motors. We first met Abdullah who showed us a nicer car than we thought we could afford. We took it for a test drive and then worked on getting a deal done. Instead of cutting us off or telling us to look elsewhere, Reyhan came over and tried to get us the deal we wanted. I loved the fact that Reyhan and Abdullah were honest and up front. They told me the best they could do on the car that we wanted and it seemed like a fair price. At no time did they try to do a hard sell or did they try to force us into an offer we couldn’t do. They both were great. After all the paperwork was signed, we were happily off with the car. The car was missing a couple of things and they said they would get them to us in a couple of days, they just had to order the items. They did as promised and the items were picked up a few days later. 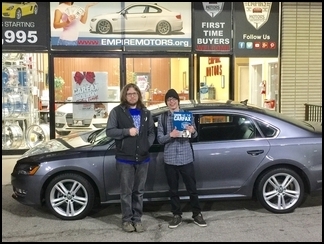 I highly recommend Empire Motors. If I were in the market for a new car in the future, I would definitely go back to see Reyhan and Abdullah. Both really solid guys. Another 5 Star review from a Happy Customer !! Ray DeeJay made our car shopping experience wonderful. He was so friendly, kind and polite. Everything was done fast and he explained everything so clearly. We love our new car! 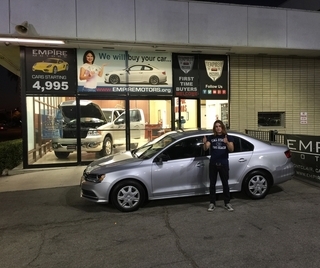 Thank you so much for the kind words and we truly hope you enjoy the car. ????? 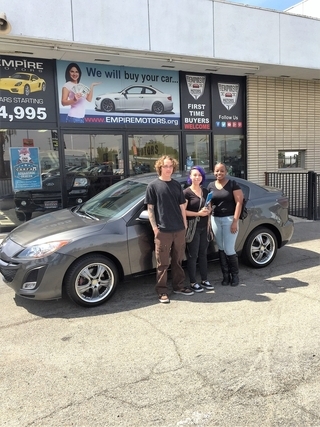 a week ago Purchasing our vehicle was a very pleasant experience. 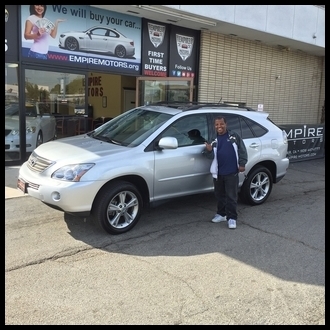 Empire Motors took the time to explain how everything works and they were never pushy. Would definitely recommend this dealership to friends and family. Especially if you’re a first time buyer.